Beekeepers use various methods to control mites in their beehives and apiaries. With more inclination towards natural Varroa mite control, substances such as oxalic acid are finding increased use and acceptance as miticides. In this article, you will receive insights into treating Varroa mites with an oxalic acid fogger. Fogging is one of the methods used by beekeepers to apply oxalic acid in beehives. Treating mites with an oxalic acid fogger is easy and can be done by both seasoned and beginner beekeepers. What does Oxalic Acid Fogging involve? Is using Oxalic Acid to treat for mites safe? The Sorrel Oxalis Acetosella, a plant in which oxalic acid is naturally found. Oxalic acid is a naturally occurring organic acid. 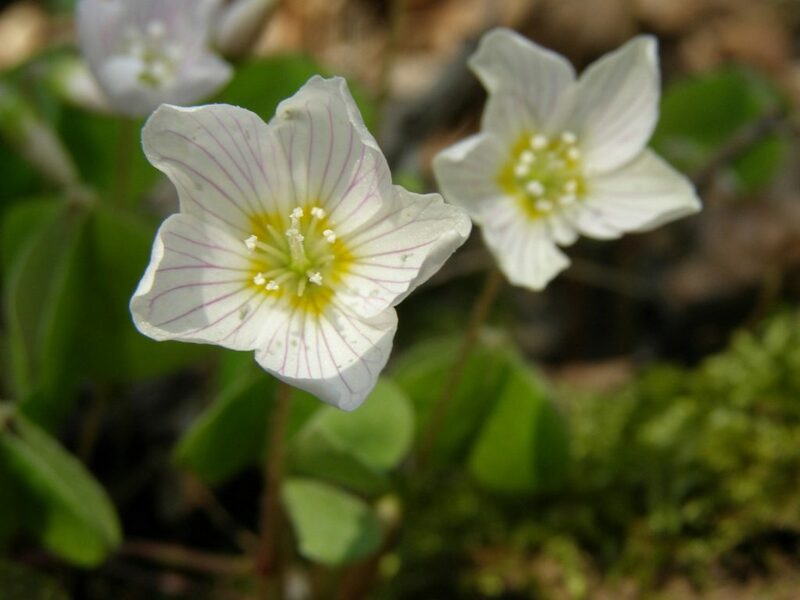 It is found in many plants including the wood-sorrel. Early investigators used plants in the Oxalis genus as their source if oxalic acid isolates. The acid is colorless and forms white crystals when in solid form. It is also colorless in solution when dissolved in water. Oxalic acid is the simplest di-carboxylic acid. It is stronger than acetic acid in acidic strength. While oxalic acid is a naturally occurring acid and is found in many foods, ingestion of too much of it can be dangerous. Additionally, prolonged skin contact with oxalic acid is not advisable. In your supplies store, you will most likely get oxalic acid in its powder form. This is also called crystalline form. It is commonly bought as wood bleach. Upon purchase, establish whether you have hydrous or anhydrous oxalic acid. They have different properties and their solution preparation ratios also differ. Use the right recipe when mixing oxalic acid to get your fogging solution. Due to being naturally available in plants, there is some amount of oxalic acid in honey. Once you have finished treating your hive, the acid will naturally dissipate, quickly returning to normal levels. The use of oxalic acid in Varroa mite control is considered a niche use. There are many other uses of oxalic acid. In popular industry, oxalic acid is used in bleaches, especially for wood. Some baking powder manufacturers also make use of oxalic acid. In silica analysis instruments, oxalic acid is a third reagent. Cleaning off rust can be done using oxalic acid too. Beekeepers use different methods including fogging to apply oxalic acid in beehives. Oxalic acid fogging is the process of introducing oxalic acid into a beehive using a fogger. It involves preparing the oxalic acid, setting up your fogger and preparing the hive for fogger use. Fogging with oxalic acid can be a fast process for experienced beekeepers. You should have all the materials and equipment you need for fogging. Beekeepers should use a fogging checklist to make sure they are well prepared for the activity. You should also have protective equipment ready as inhaling oxalic acid in injurious to your health. There are two types of oxalic acid foggers based on the state of oxalic acid used. The standard type are the oxalic acid foggers that use an oxalic acid solution. Some homemade foggers by DIY enthusiasts may use oxalic acid in its crystalline form. They draw on the creativity of beekeepers with a more hands-on approach to beekeeping. Foggers by reputed companies use solutions of oxalic acid. They build up fewer deposits of the acid in the fogger. These oxalic acid foggers are easy to maintain. Use distilled water to prepare your oxalic acid solution. This is because you may be in a region with hard water that contains calcium. The calcium in water will react with oxalic acid and weaken the acid. Varroa mite treatment with oxalic acid puts beekeepers in a position where they have to handle a dangerous chemical. In its concentrated form, oxalic acid harms you through contact, inhalation and ingestion. It is not listed as a mutagenic but may poses a risk to fetuses. The acid is very destructive of tissue. Symptoms of oxalic acid exposure and poisoning include shortness of breath, edema and inflammation of the larynx, pulmonary edema, wheezing and coughing. In humans, a dose of 15 to 30 grams of oxalic acid is enough to cause death. Beekeepers using this acid to treat for Varroa mites should take safety measures for their health and the health of those around them. Protective wear from bee stings must be worn when fogging beehives. It must be able to protect from both bee stings and keep you from contact with oxalic acid. You should also not inhale oxalic acid vapor or allow it to enter your eyes. Fogging with oxalic acid is a very effective method of Varroa mite control. It has an effectiveness rate of up to 99% on every treatment when done properly. Beekeepers should keep in mind however, that fogging with oxalic acid does not harm the mites that are still in honey bee brood cells. Repeat treatments up to 4 times depending on the interval to completely eradicate Varroa mites from your apiary. Oxalic acid is lethal to Varroa mites. It attaches to their feet and they cannot keep a grip on bees. They fall off and move to the bottom of the hive. A screened bottom board allows mites to fall out of the hive. The acid then gets into the mites’ body and cause the death of the mite. It does not get to the mites that are in sealed brood cells. An oxalic acid fogging schedule is followed to clear the hive of mites. A typical schedule has a number of applications within a span of up to a month. The interval between treatments varies by individual beekeepers. Some beekeepers opt to use queen caging to eliminate brood from the hive during oxalic acid Varroa mite treatments. Fogging done twice on such a hive has a very high-efficiency rate in reducing mite populations. You should time oxalic acid treatments for Varroa mites for when there is little brood in the beehive. You can also kill off brood during treatments and return the brood frames after you have cleared mites from the hive. If your bee colony gets heavily infested during spring or summer, it is permissible to treat using oxalic acid so that the colony is not overwhelmed by Varroa mites. After oxalic acid fogging, it is good to look out for mite falls. A simple evaluation of the number of mites dying can be done by trapping dead mites. A sticky board placed at the bottom of the hive is great for this. It helps beekeepers know if the treatment was useful to the bee colony in the hive or not. Mite fall is high in the first 24 hours after treatment. It then falls over the next days. Successive treatments with oxalic acid help clear all mites from the beehive. Propane tank/cylinder – The propane tank carries fuel for the oxalic acid fogger. There are two versions of propane tanks: American and European. Make sure to get the right type of fogger depending on your location. The oxalic acid foggers that run on electricity do not require propane tanks. Fuel valve – This is a simple mechanism to control how much of the propane fuel is released into the fogger. More propane means more heat in the fogger. Fogging trigger – The fogging trigger is pressed when you want some fog from the fogger. It works by releasing some amount of oxalic acid into the fogger. Different foggers have their triggers releasing varying amounts of oxalic acid for every single press of the fogging trigger. Coil – This is an area of the oxalic acid fogger that is heated by burning propane gas or electricity. The coil is very hot during operation of the fogger. It stays hot and heats up oxalic acid very fast when you press the fogging trigger. Coil basket – A protective covering over the coil. The coil basket is largely there to protect you from burns. It also gets quite hot and should not be touched until you are sure it has cooled down. Fog spray nozzle – The outlet for oxalic acid fog. It is at the front end of the oxalic acid fogger. 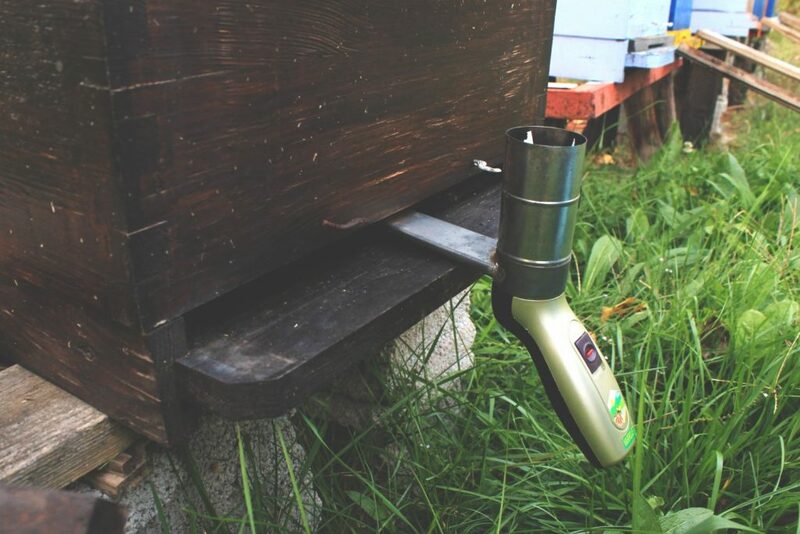 You can use an extension rod on the nozzle to add distance between your beehive and the fogger. Oxalic acid container – A container for holding the oxalic acid solution. It comes in many shapes and sizes depending on the oxalic acid fogger you own. Some oxalic acid foggers have an igniter installed. It comes in handy for lighting the propane gas in the fogger. If your oxalic acid fogger does not have an igniter, matches or any other flame will work to ignite the gas. Propane foggers are superior to electrically powered foggers in terms of portability. The propane fogger can be taken to areas where electricity is not available. Using a fogger to treat for Varroa mites is a fast and easy way to control mite populations. It allows beekeepers to move from one hive to the next quickly. Oxalic acid foggers do not need time to cool down between hive treatments, as vaporizers tend to do. They are very great for beekeepers with apiaries that have many beehives. An oxalic acid fogger is also great for smaller-scale beekeepers who would like to get done with treatment quickly. Before you head out to fog beehives, you should make sure you have all you will need during the activity. A checklist is useful to make sure you do not leave anything behind. Make sure you have adequate gas in your propane tank if your fogger uses gas. For electric foggers, make sure the batteries are fully charged or you have enough fuel for the generator you will be using. Protective clothing and equipment should also feature prominently in your checklist. Without protective equipment, you will leave yourself open to oxalic acid poisoning. Even coming into contact with oxalic acid is enough to cause you major health concerns. Other equipment you will need apart from the fogger includes: the oxalic acid powder, water, mixing jars or other suitable containers and soda water. The soda water is useful if you accidentally come into contact with oxalic acid. It quickly neutralizes the acid. You will also need a drill. This is used to bore holes into the back of the beehive through which the fogger will be inserted. We have already seen that oxalic acid is readily available for purchase in powder or crystal form. This is not a state that is very suitable for use with most foggers. The oxalic acid must be made into a solution that can go into the fogger’s oxalic acid container. The standard is 25 grams of oxalic acid powder in 100ml of water. You may use water or ethyl alcohol to make your solution for oxalic acid fogging. For areas where the water is hard (i.e, contains plenty calcium), use distilled water. Calcium in hard water reacts with oxalic acid. You can carry out a simple test by dissolving a teaspoonful of oxalic acid in some water. Check for cloudiness in the solution. If the solution turns cloudy and remains so, use distilled water in place of water from your public water supply. As we’ve mentioned, you should wear protective gloves, goggles and a face mask as minimum protection when handling oxalic acid. Have a plastic or glass container that can hold more than 100ml with you. A stirring tool also comes in handy. You will also need weighing equipment and a measuring jar or can to measure out liquids. In heavy infestations, consider more than one puff of oxalic acid smoke. It is better than increasing the concentration of oxalic acid in your fogging mixture. Highly concentrated oxalic acid mixtures leave too much of the acid in the hive and harms bees. Weigh out 25 grams of oxalic acid and place it in your container. Measure out 100ml of ethyl alcohol or distilled water and add it to the oxalic acid. Stir the mixture until all the oxalic acid dissolves. Transfer the oxalic acid solution you just prepared into your fogger’s oxalic acid container. The mixing recipes for hydrous and anhydrous oxalic acid are different. Make sure to use the right recipe based on the type of oxalic acid you have. Beekeepers using trickling to apply oxalic acid in their apiaries are required to prepare solutions of the acid. This guide is only for treating mites with an oxalic acid fogger. Using oxalic fog in large apiaries with hundreds of beehives is fast. It can be done in under an hour. The best oxalic acid foggers promise treatment of 100 beehives in 30 minutes. Here are instructions on fogging with oxalic acid for Varroa mites in honey bees. Drill holes into the back of every beehive you plan to treat. You may use a plug or stopper to seal the hole until you are ready. Wear protective gloves, upper body protection, safety goggles and a gas/respirator mask. Prepare your oxalic acid solution in an adequate amount to treat all the beehives in your apiary. If you have very many beehives, it is alright to prepare as much as will go into your foggers oxalic acid tank. Once the tank is empty, you may prepare more solution. Put the prepared oxalic acid solution into the fogger’s acid tank. You may attach the tank to the fogger right away. Do you have an extension rod for your fogger? If so, attach it to the fogger’s outlet nozzle. Attach the appropriate propane tank to the fogger. Ignite the fogger so it starts burning propane and heating the coil area of the fogger. For foggers that use electricity, power on the electricity source and switch on the fogger so it starts heating. Once the fogger is hot, work the pump and trigger. It should release a puff of oxalic acid fog. This is important so you are sure everything is working well. Approach your beehive from the back and remove any plugs or stoppers you may have used to seal fogging holes. These holes must be pre-drilled to the right size that allows the fogger nozzle to fit in the hole snugly. A single hole in the bottom brood box is enough per beehive. If you do not have the holes in your beehive, you can use any opening that will fit the propane fogger’s nozzle. 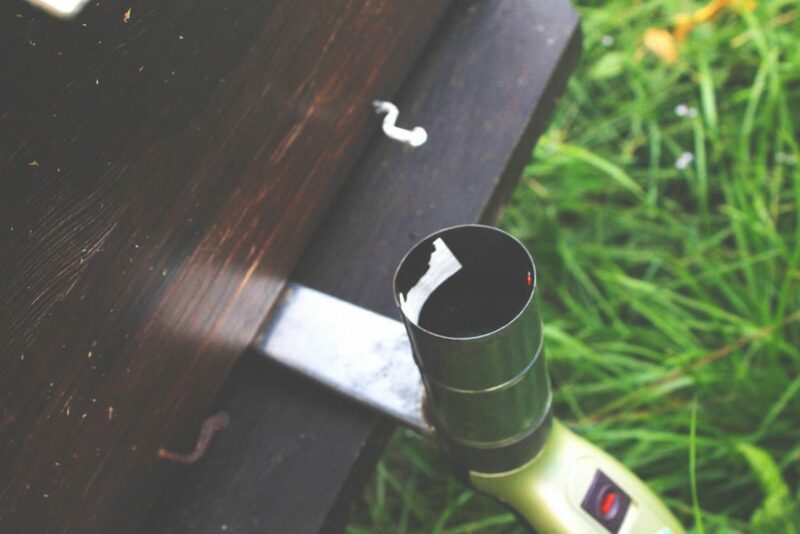 Apply a puff of oxalic acid fog per beehive and replace the plug used on the fogging hole. Some beekeepers seal all other openings of the beehive that may let out oxalic acid fog. Remember to remove coverings that you use to seal beehive openings. You may release two bursts of fog into the hive. This depends on the intensity of Varroa mite infestation in individual beehives, and the strength of your oxalic acid mixture. Repeat steps 8 and 9 for every beehive you are treating. In large apiaries, it is possible to use up all the acid solution in the fogger’s oxalic acid tank before you have treated all beehives. When the oxalic acid tank empties, switch off the fogger. Propane foggers require you to extinguish the flame before refilling the fogger. During refilling, do not touch the fogger’s coil cover. It remains hot for some time after you switch the fogger off. Beekeepers who have drilled a fogging hole in the back of the hive cause even less disturbance to bees. They do not approach the hive from the front, so the bees may even hardly know of the intruder. With a fogger, you move from the hive quickly so your presence has less time to get noticed. You should also time your treatments for when bees are in the hive in good numbers. It allows more mites to be killed. Oxalic acid also attaches to beehive surfaces. It crystallizes on the surfaces as the acid fog cools down. Mites crawling in the hive come into contact with crystals of the acid and die. After fogging, you may visit the treated hives to investigate mite fall. It is important to confirm if the fogging effective. The first 24 hours after treatment have the highest mite fall. After that, the number of dead mites per day falls rapidly. A screened bottom board is great for beehives that you fog with oxalic acid. It allows dead and dying mites to fall out of the beehive. A sticky board placed under the beehive catches falling mites so you can count them easily. Remove dead mites from under the beehive to prevent ants detecting the mites and beehive presence. Oxalic acid in Varroa mite control is deemed safe in some jurisdictions. Beekeepers should find out beforehand if it is approved as a method of Varroa mite treatment in their area. Beekeepers using oxalic acid sometimes do so even if it is not approved. The acid is effective and does not lead to Varroa mites developing resistance. You can treat your beehives for Varroa mites with an oxalic acid fogger without having to rotate between treatment methods. You should also schedule and time your treatments so that they have maximum effect on keeping the beehive clear of mites. Using an oxalic acid fogger to apply oxalic acid mite treatment in your beehive is great. It allows you to cause minimum disturbance to bees. Fogging requires you to practice using your fogger and experiment a little until you get it right. Always be sure to wear protection both from bee stings and oxalic acid. Fogging is great for beekeepers that have many beehives to treat for Varroa mites. This natural Varroa mite control method allows you to get high-quality beehive products while keeping your honey bee colony strong. Varroa mite populations can overwhelm colonies and cause absconding or collapse. Use this guide to achieve great results with oxalic acid fogging. Have you used oxalic acid as a Varroa mite treatment in your beehives? Leave a comment below and let us know what your experience was like. is there a difference in effectiveness between using ethyl alcohol and water as dilution for OA? No real difference. Just be sure to use the exact measurements and not to overdo it.